Young social entrepreneur Hannah Moloney recently toured City of Sydney community gardens and the Sustainable Streets-Sustainable Communities Demonstration Project in Myrtle Street, Chippendale, during a whirlwind visit to community food systems in the City and the eastern suburbs. Hannah was in Sydney to prepare for her new assignment of documenting community food security projects in Zambia for Action Aid. A Tasmanian who produced a DVD for community and schools about food – Eat Well, Grow Well, Hannah has quite a record of achievement, having stimulated community food gardens and school-based food projects in Tasmania. 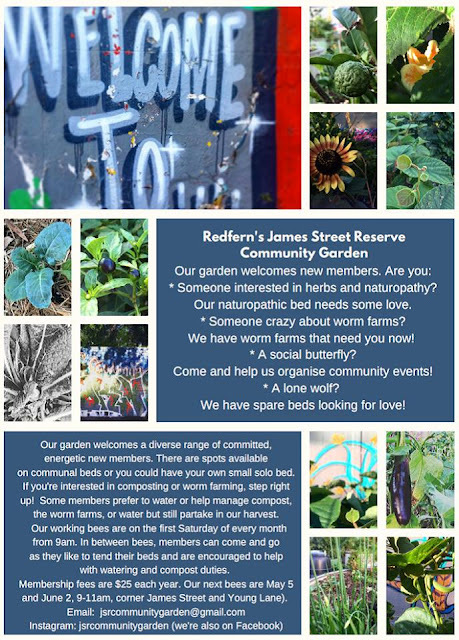 She has been working until recently with Cultivating Community in Melbourne, helping social housing estate residents with design, training and advice to support their community gardens. In Sydney, Hannah was also the focus of a Transition Sydney Cafe Conversation. Her tour of City of Sydney community gardens was organised by the City’s Community Gardens and Landcare Coordinator, Russ Grayson. 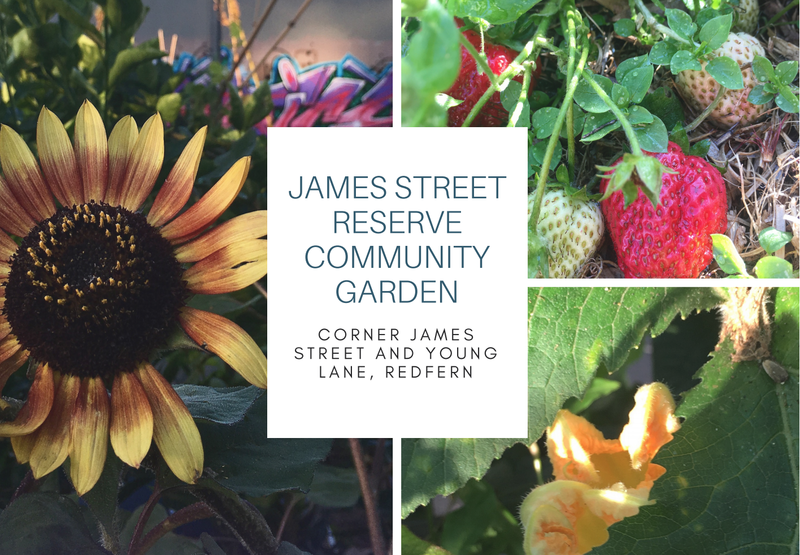 She visited the James Street Reserve Community Garden, Charlie’s Garden (Darlington), Newtown Community Garden and the Chippendale community street verge gardens before going on to community programs in the eastern suburbs.